What February Already? Goodness, where does the time go? Next thing we know the first quarter of 2014 will behind us, hence why personal goal setting or career goal setting is so important. 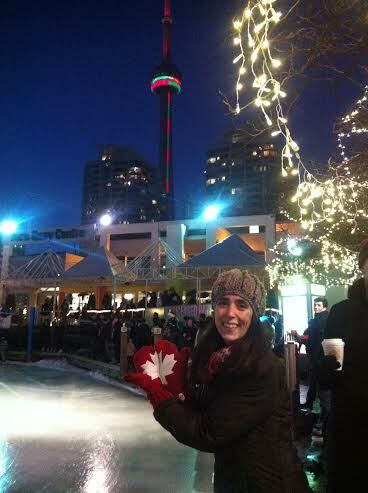 I recently came back from my trip to Toronto, Canada to visit my family over the holidays. It had been three years since I visited last and we had such a great time despite it being in the -40 degres Celsius with the wind chill at times with frost quakes. Ice skating at Toronto Harbour Front, dinner parties, Christmas, New Years Eve and hanging with my best girlfriends and my 4 year old nephew was epic. The most precious moments were spending time with my parents and being a part of the small things they do every day that make them happy. (My sister and I skating at Toronto Harbour Front). My parents cultivate and produce most of their food. I was in pure heaven with the flavourful dishes every day…Say with me: “crushed olives, homemade Italian pasta sauce, stuffed oven baked eggplants, fried calamari, Italian cookies, dad’s homemade wine”. It is no surprise I gained 3 kilos and now cursing every time I peel off my skinny jeans. I smile when I see my parents hand making their food products because I understand quietly that this is where my love and devotion for hand making AMICA Organic Skin Care originated from. I understand that high quality handmade products are second to none. My favourite room in my parents’ home is the cellar or as they call it “Cantina”. It is quite special because it’s a accumulation of my parent’s history, passion and hard work and the many memories that both the labour and enjoyment of their hand made food products brings to our family. Still today my parents love what they do. Dad is in his mid 70s and mom in her late 60s. Sometimes the notion of what we love should come so easy. On the contrary, it takes discipline, hard work, passion and sacrifice to succeed. Which brings me to my main point here with you…2014 will be a year for me about Doing What I Love. So how am I going to do this? Well, it will take a great deal of perseverance and discipline with following my personal goals and my career goals. The above will take a lot of time, money, hard work, organisation and a bit of risk taking too. It won’t be easy. The journey for me has always been more important than the end result. The journey itself always brings me happiness because every day I’m pursing what is true to me and I love. Setting and achieving personal goals comes with hard work and sacrifices. This means my days will need to start as early as 5:30am and I need to be incredibly organised and have supportive friends, loved ones and even employers who want to see me succeed. 2014 will be about ‘doing’ rather than promising. It will be about growth on a physical, emotional, professional and personal level. It is a BIG year ahead. This year I’m just going to NIKE – Just do it! How about you? What personal goals or career goals are you setting for yourself in 2014? 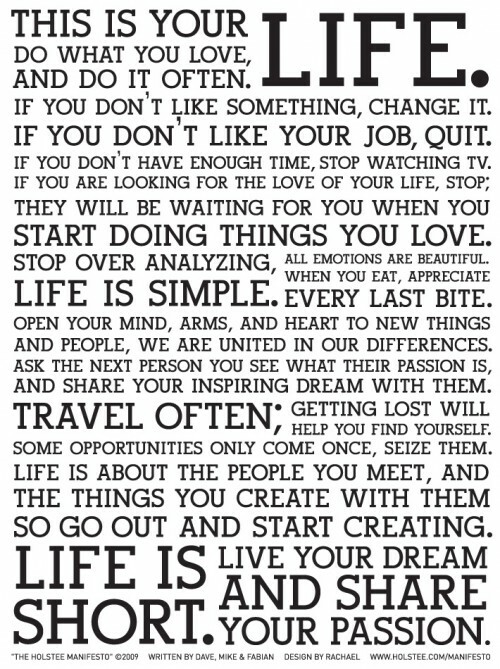 Are you doing what you love or pursuing a new years resolution? Maybe now is the time to take even 1 hour out of your day and ask yourself these same questions and put an goal setting action plan together to help you succeed. Be powerful and believe in yourself. Feel free to share what your personal goals or career goals are for 2014 and how you are progressing towards them.